In order to grow a community around your social media accounts, you have to come up with a strategic plan on how you are going to offer values to your target audience, everyone want to someone want to fellow people that offer values either in form infograhics, write up or photos, the more valuable content you are providing them with, the more you are giving them a reason to follow you and also share your content with their friends. Social media marketing is all about consistency, because it takes time to grow and you can't afford to be inconsistent with it. Am not saying you should spam you followers, but have a plan on the number of time you will share some thing with them and be consistent with the plan, the small things you do everyday can add up and become something huge, that will eventually grow you brand awareness and further increase sells, all this takes time and consistent effort. The value you share will make people want to fellow you and engage with you, some of your fellows might want to ask you questions, know what your brand stand for, set aside some time everyday and engage and interact with them. this will go a long way to grow a community around your product. Some of your followers will sometimes throw one or two issues for discussion, jump on it and provides your views on the issues and if possible provides a way forward. Those little conversation going on between you and your followers will helps build trust which will go a long way in making them accept your products. The time you allocate for this engagement will depends on the level in which you took the marketing campaign and the stage of your startup. listens and responds to its customers. There are a lot of social media platform on the Internet, but your ability to figure where the large number of your customers resides is essential here, you don't have to be on every social media platform, concentrate on one at a time and see how you can maximise it and grow your brands awareness before moving to another one. 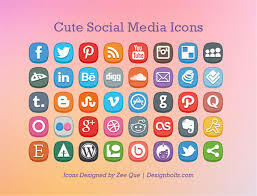 Some expert in social media marketing believe that social media should not be use to grow sells number, but only as a form of brand awareness and increase retention of more customers, since it is natural that you old customers will want to fellow your Startup owing to the value the have received from your product. I will love to hear your views on this topic, use the comment box below to drop them. it is only fear to share, use the social icon below to share with you friends on social media.